Sine Tempore is a structure composed of two adjoining apartments, but independent. 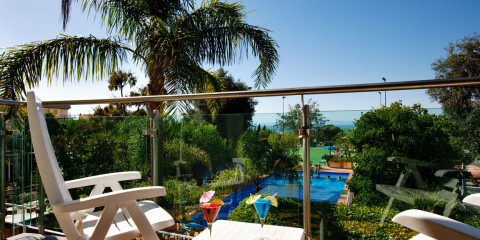 Each apartment is 45 square meters and are ideal for a couple who stay for a family trip. Each apartment has a bedroom with double bed, living room and kitchenette. An apartment, Paestum, enjoys a overlooking the main street of the city of Sorrento, Corso Italia while the other apartment, Pompeii, facing the inside of the building and has a solarium where you can relax in complete tranquility. 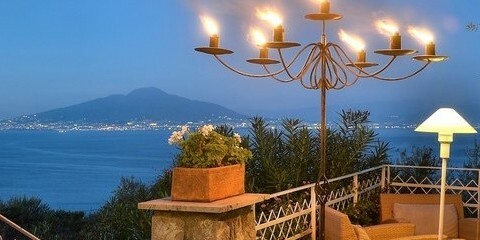 Gardenia is a charming three star hotel located at the entrance of Sorrento. Offering parking and swimming pool, its strength is the family management that give at all guests the sensation to feel at home. The hotel is equipped with free WiFi access for all guests and the rooms have views of the Gulf of Naples, or on the main street of Sorrento: Corso Italia. 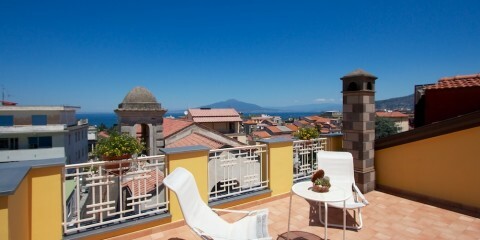 Ideal to move in total freedom for Sorrento without the need of public or private transport. Located in the center of Sorrento, the Conca Park is in a quiet and peaceful location for its elevated position from the road. It is an ideal starting point to discovery of the Sorrento and Amalfi Coast for the proximity to public transportations and the terminal for trains and local buses. Conca Park Hotel have restaurant, bar, pool, spa, meeting rooms for conferences and it is specialized in gluten-free cooking. The Hotel Conca Park is also home to the University of Mediterranean cuisine and is the first “Zero Waste Hotel”.